ME/CFS South Australia Inc: Ron Davis (Finally) Gets His Big Grant! Home > In the News > 2018 > June > Ron Davis (Finally) Gets His Big Grant! have come a long way in three years. Sometimes the third time is the charm. Ron Davis has gotten (and been turned down for) many NIH grants but even he was shocked by the response to his first couple of attempts to get an NIH grant for chronic fatigue syndrome (ME/CFS). This time, though, the NIH came through. Davis’s first try at a NINDS review panel was rejected by reviewers who refused to even assess the grant. His second try for an NIH ME/CFS research center was met with such a weird response that he went before an NIH committee to protest. His third try, the first apparently through the grant review panel for ME/CFS (Special Emphasis Panel [ZRG1-CFS-M (80)S]), thankfully, met with success. The big multi-year, multi-million dollar RO1 grant to the Stanford Genome Center titled “Molecular and Single Cell Immunology of ME/CFS” lasts for five years and pays out a cool $745,000 this year. 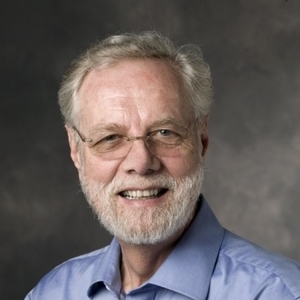 Remarkably, Davis, at 76, was the first and is still the only ME/CFS research center grant applicant to flip his big, NIH Center’s grant application into a smaller – but still quite hefty – grant application since the Research Centers were announced in the fall of last year. This was a grant application, in truth, that one would have expected to succeed. It ticked all the boxes; it features cutting-edge technologies featuring two highly respected researchers from a top academic institution. It’s the kind of application the NIH has said it’s wanted from ME/CFS researchers for years.